Amazing Spider-Man #6 Review! "Business As Usual"
Here we go again kiddos! Spider-Man, and more importantly, Peter Parker, has been dealing with a lot of ‘stuff’ since his return to his own body with his own brain, after defeating Doctor Octopus. 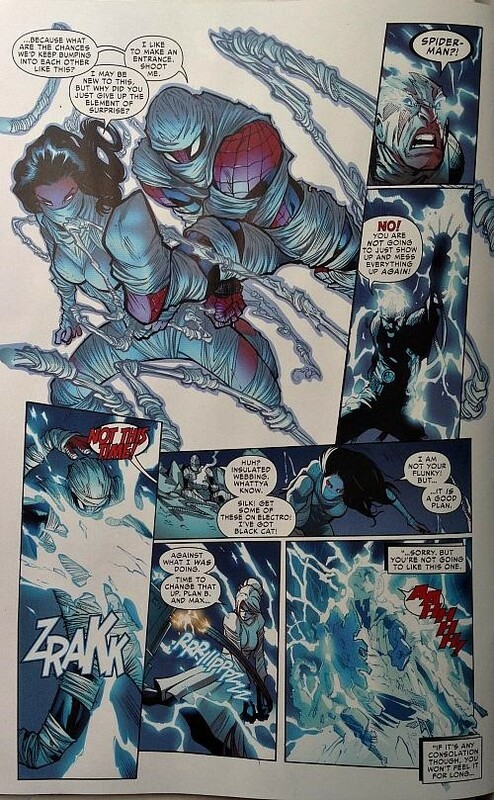 (See all of Superior Spider-Man). Can he hold it all together and get his life back to the crazy normalcy it once was? 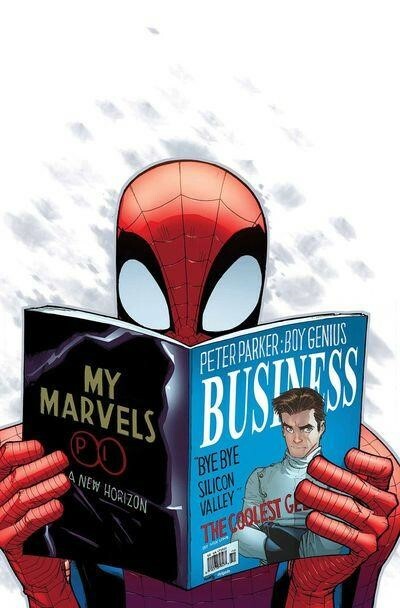 Well the awesome artistic team of Humberto Ramos and Edgar Delgado give us a fun looking cover, of Spidey reading a magazine with Pete on the cover. Joined by Victor Olazaba on inks for the interior pages, this book gives its usual stellar artistic outing. Lots of fun action sequences, colors that pop and some great panel layouts. Even with chaos and crazy goings-on that you normally find Spidey in the midst of, the pacing is never lost on the reader and is easy to follow from page to page. Last issue we were left with the cliffhanger of The Black Cat, who is super pissed at Spidey now because of stuff Doc Ock/Superior Spider-Man did to her, about to unmask Peter on national television. It just so happens that it is J. Jonah Jameson’s first day on the job as well, and he wastes no time getting right in front of the camera. No, seriously, he hogs the whole shot so there is never a clear view of Peter’s face! Phew, but fans of the series know that these types of scare’s happen ALL the time, and unless it’s Civil War, Spidey’s secret identity isn’t getting out there that easily. But that isn’t the end of Peter’s woes in this issue. Black Cat has it out for him in a big way, and is now recruiting other villains to her cause. But not everyone is keen on helping her out, because now she is kinda blacklisted in the super-villain community. Thankfully, Electro is still on her side, and they have captured one of Peter’s co-workers as well! Sanjay is not too happy with Pete at the moment, but is still in peril thanks to two of Spidey’s rogues. All this, plus Parker Industries is trying to unveil a new containment system for Electro that might cure him of his powers forever! Dan Slott has this story on lock from the moment you open the book. He knows where he has been and where he is going, so it makes for a fun and easy read. Lots of Spidey one liners, now being bolstered by Silk being a part of the game too. Silk seemed like a throwaway character at first, but now seems like she will be making regular appearances in this book. If Marvel does what I think they might do, Silk might also be getting her own comic, or maybe joining up with other superheroes down the way. Never a bad thing to have more spider-powered superheroes around. Sure Peter has his own company now and has just found another spider-powered person in Silk, and Black Cat is after his blood, but it all feels familiar. Peter’s life is never easy, and with great power always comes great responsibility. This all makes for a fun comic to read, with not too much ‘weight’ being dealt from the rest of the universe. Also, great action sequences abound in this issue. 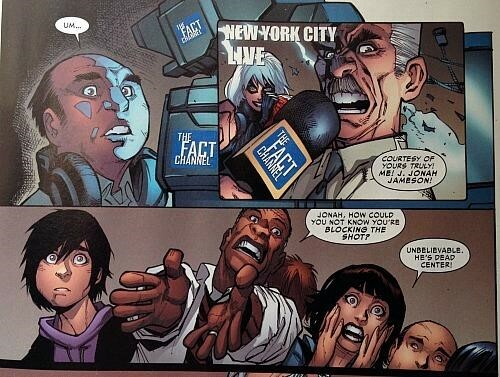 Jonah Jameson is up to his old tricks. I know I just said a lot of the story feels familiar, but there is a fine line between that and lazy. I feel J. Jonah Jameson has made huge strides in his development as a character, and now it feels like he rubber-banded backwards into the old one from the sixties. Also, things might not be so ‘happy ending’ at the end, and that might bode bad for Peter in the future. CBH Score: 3.5 out of 5.